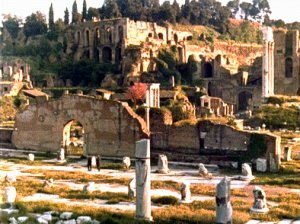 For centuries prior to the rise of Rome as a force in the world, farmers and other inhabitants made Rome their home. 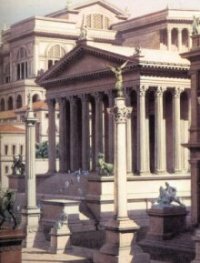 What led to the change; to the rapid ascent of the Roman people? Who were these people? Our culture today owes a vast amount to them; even the language we speak, though not a Romance tongue, is unmistakably colored by Latin. Their ways of law; their paths of conquest -- all reverberated to our own times. Visit the beginnings of Roman culture, meet their allies and enemies, study the Empire and the Republic. In this group, we meet and greet our fellow denizens of Italia. Cornellia's Caupona is our local watering hole; do try some fine Roman wines! Italian travel advice, games, and a few other topics that didn't really make their homes elsewhere in Italia are located here. Come visit!